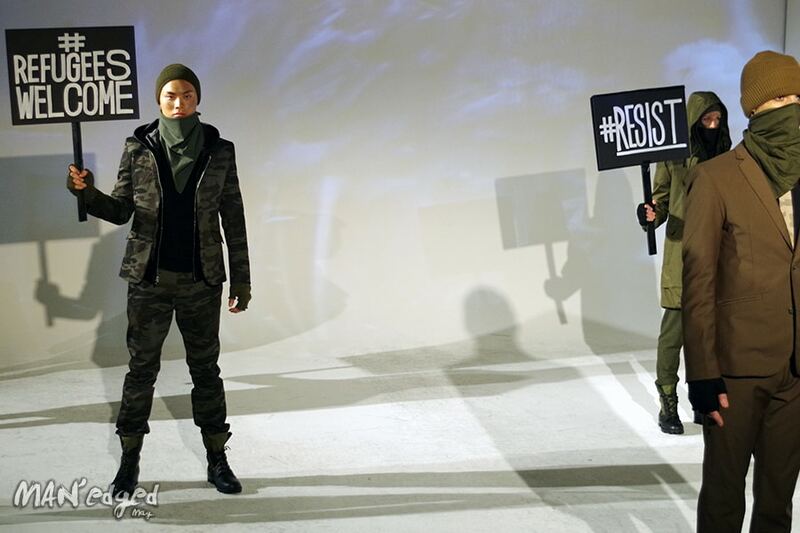 There’s no doubt that the men’s fashion world has felt it’s fair pinch of political turmoil in wake of the new presidency. One designer stood out that really took the bull by the horns and addressed the situation head on. 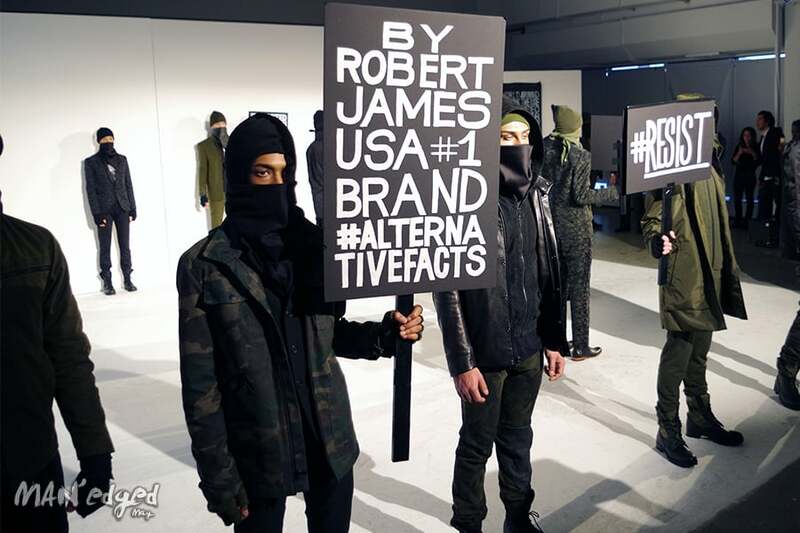 Meet By Robert James who showcased his menswear collection at this season’s Men’s Day. This show quickly became one of our top favorites who was not afraid to use his platform for good. The clothes? Well, in short, they’re awesome. You’ll find sweet silhouettes and camo prints. Looks like we found a solid brand we believe in. Check out their latest collection below. 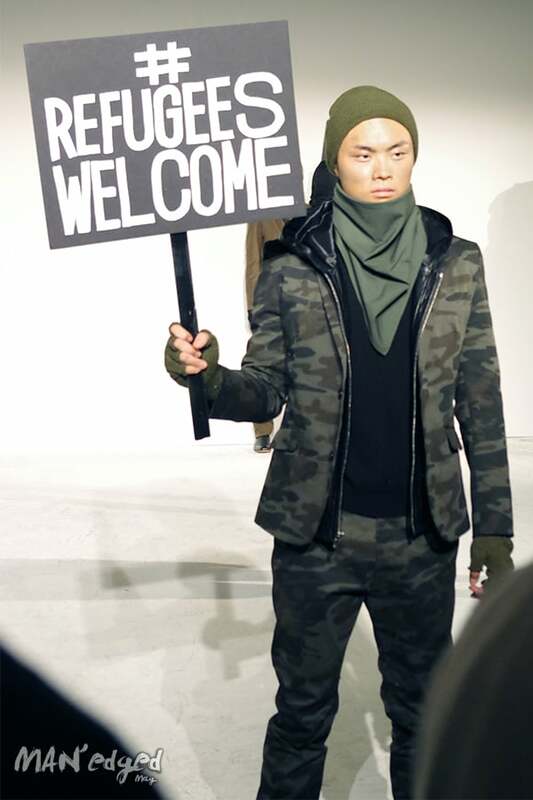 A Robert James model holds political statement sign. 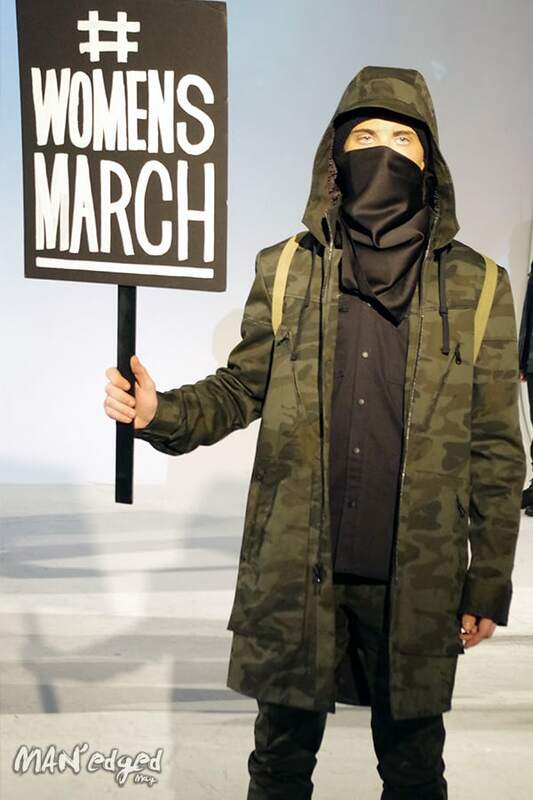 Male model holding Womens March sign. 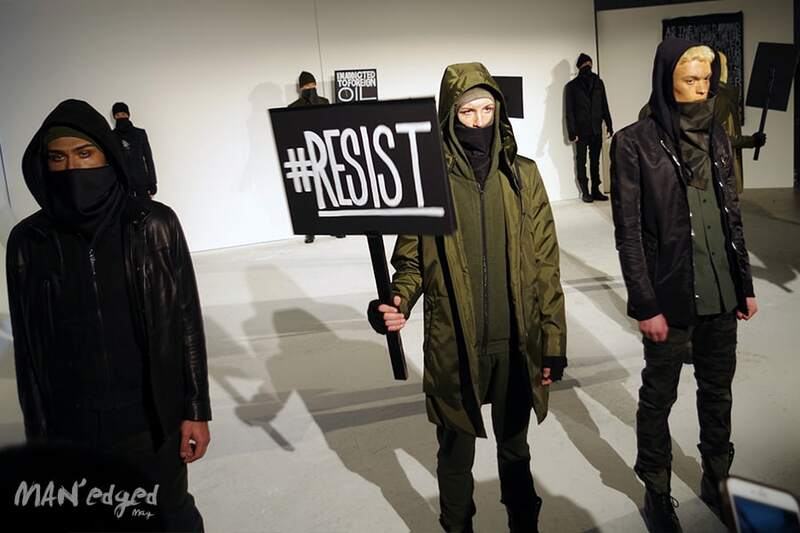 A shot showcasing various models holding political signage at Robert James show.